• You can restore a hurting marriage and regain intimacy and trust. • You can break through family conflicts and live in harmony and grace. • You can find relief from anxiety, depression or personal crisis and discover inner peace through a relationship with Christ. Based on your unique situation, I draw upon a broad range of therapeutic techniques. I believe we are created in the image and likeness of God. When personal wounds prevent you from realizing your God-given potential, counseling can help restore you to joy-filled living. Therapy brings your wounds to light so they can be healed by Christ’s power. Jesus is always the true healer while I act as his instrument during our sessions together. You can take confidence that the treatment I provide is authentically Catholic and in full harmony with the Magisterium. Using John Paul II’s teaching on marriage can restore your marriage to the order of God’s plan. I see couples flourish as they invite God into their relationship and discover His blessings of intimacy and peace in their married life. Gloria Lange is a Licensed Clinical Social Worker, Registered Nurse, public speaker and frequent radio guest featured on On Call™ with Wendy Wiese. To hear Gloria’s next scheduled broadcast, please see our radio affiliate listings at Relevant Radio.com for a station in your area. You can also listen live online or on Sirius satellite radio, channel 160. Now in private practice, Gloria has worked as a psychotherapist since 1981. 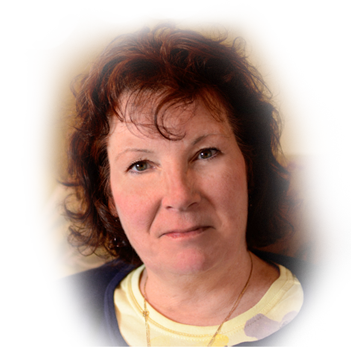 She has extensive experience working with couples, individuals and families in a variety of therapeutic settings. Since her first Medugorje pilgrimage, Gloria discerned a distinct call from Blessed Mother and her Son Jesus to launch a private therapy practice integrating emotional and spiritual healing. She views each client as a person sent to her by the Lord. Helping clients re-discover a relationship with Christ through the teachings of the Catholic Church is a hallmark of her counseling work.